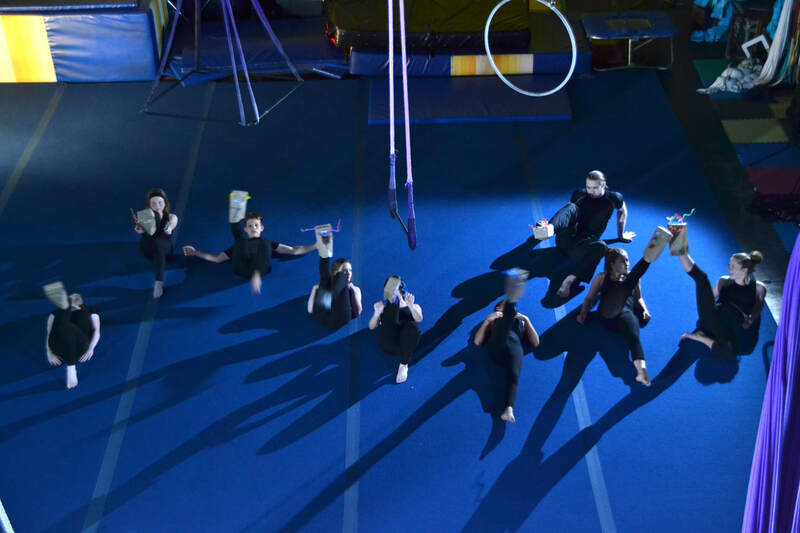 The Junior Troupe Training is an exclusive program created for students interested in advancing and perfecting their technique with the goal of performing with Atlantic Cirque at various events throughout the year. This program is a 1-year commitment starting in September each year. Troupe members are highly encouraged to take classes or private lessons to continue to learn new moves. Some workshops will be offered during troupe training time but the goal of this program is the performance aspect. To be accepted in this program, students have to audition and be selected by the judges. ​*Students from the previous year do not need to re-audition BUT they will each be re-assessed before the start of the new term. The training takes place on Wednesdays from 7:30 to 9:30pm for a 15-week fall session, a 24-week winter-spring session and for 4 weeks in the summer (choices of July or August) on Wednesdays from 7 to 9pm. The cost of this program is $1500, tax in for the full year, which also includes the weekly handstand class at no additional charge. ​We provide entertainment services for over 60 events annually and are so happy to give our local artists a chance to perform their art in the region on such a regular basis. Make circus arts your career!